WASHINGTON, DC, January 31, 2014 (ENS) – The Environmental Protection Agency has set a date to finalize the first federal regulations for the disposal of coal ash under a settlement in a lawsuit brought by environmental and public health groups and a Native American tribe. The settlement does not dictate the content of the final regulation, but it confirms that the agency will finalize a rule by December 19, 2014, after years of delay. The settlement is in response to a lawsuit brought in 2012 by the public interest law firm Earthjustice on behalf of Appalachian Voices, Chesapeake Climate Action Network, Environmental Integrity Project, Kentuckians For The Commonwealth, Moapa Band of Paiutes, Montana Environmental Information Center, Physicians for Social Responsibility, Prairie Rivers Network, Sierra Club, Southern Alliance for Clean Energy, and Western North Carolina Alliance. In October, the U.S. District Court for the District of Columbia ruled that the EPA has a mandatory duty to review and revise its waste regulations under the Resource and Conservation Recovery Act. The EPA has never finalized any federal regulations for the disposal of coal ash, the nation’s second largest industrial waste stream. 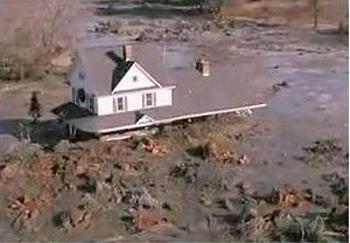 Former EPA Administrator Lisa Jackson pledged to finalize coal ash regulations following the billion gallon coal fly ash slurry spill on December 22, 2008 at the coal-burning power plant in Kingston, Tennessee in the final days of the Bush administration. The facility at the junction of the Emory and Clinch river is owned and operated by the Tennessee Valley Authority, a federal government agency. In the aftermath of that disaster, the EPA proposed various regulatory options in May 2010 and held seven public hearings in August and September of that year. Environmental and public health groups, community organizations, Native American tribes and others generated more than 450,000 public comments on EPA’s proposed regulation, calling for the strongest protections under the law. But since then, despite coal ash contamination at more than 200 sites nationwide, the EPA has failed to finalize the protections under pressure from industry, the White House and some members of Congress. WASHINGTON, DC, January 31, 2014 (ENS) – The U.S. EPA’s Energy Star program and the congressionally-chartered private mortgage lender Freddie Mac have signed an agreement that will help cut carbon pollution while increasing the affordability of multifamily housing properties. The agreement outlines strategies to save water, energy and money for multifamily property owners and residents. About one-third of Americans live in apartments within multifamily buildings, spending $22 billion on energy every year. Rising energy costs are contributing to the decline in affordability for many of these apartment dwellers. Housing industry studies have projected that multifamily properties can become 30 percent more efficient by 2020, unlocking $9 billion in energy savings and preventing more than 35 million metric tonnes of greenhouse gas emissions per year from entering the atmosphere. “By making it easier to secure financing for energy efficiency investments and providing data about energy use and efficiency opportunities, these strategies will create lasting environmental and public health benefits while making multifamily buildings more efficient and valuable,” said McCabe. President Barack Obama’s Climate Action Plan calls for helping multifamily buildings cut waste and becoming at least 20 percent more energy efficient by 2020. In support of Obama’s Climate Action Plan, the agreement outlines strategies to make multifamily housing more affordable by encouraging building owners and tenants to benchmark their energy and water performance and act to improve efficiency. By demonstrating the financial value of energy and water efficiency to lenders and borrowers, Resnick says Freddie Mac hopes to be able to influence lending practices in ways that encourage investments in energy efficiency and make multifamily housing units more affordable. EPA will assist Freddie Mac by providing technical and educational support in the use of the Energy Star Portfolio Manager® energy management and tracking tool and other Energy Star resources. The Energy Star label is found on products in more than 70 different categories. Products, homes and buildings that earn the Energy Star label prevent greenhouse gas emissions by meeting strict energy efficiency requirements set by the EPA. In 2012, Americans who used Energy Star products, homes and buildings saved $26 billion on their utility bills and prevented greenhouse gas emissions equal to the annual electricity use from 35 million homes. WASHINGTON, DC, January 31, 2014 (ENS) – The nonprofit conservation group Land Trust Alliance Wednesday praised the U.S. House of Representatives for approving a Farm Bill conference report, by a vote of 251-166, that will provide more than $1 billion for a new consolidated conservation program to save working farm and ranch lands over the next five years. The Land Trust Alliance represents 1,700 nonprofit land trusts that protect 47 million acres of farms, ranches, forests, wildlife habitat, and other open spaces. The $1 billion in funding will go the new Agricultural Lands Easement program, which consolidates the former Farm and Ranch Lands Protection Program and Grassland Reserve Program into a single program. Applications for these programs have far exceeded available funding. Each year, an estimated two million acres of America’s farms, ranches, forests, wildlife habitat, and other open spaces are fragmented into smaller parcels or lost to development, according to the President’s 2013 Annual Economic Report to Congress. The Land Trust Alliance worked with Senate and House leaders, including Senate Agriculture Committee Chairwoman Debbie Stabenow, a Michigan Democrat, and House Agriculture Committee Chairman Frank Lucas, an Oklahoma Republican, to secure a provision that allows the Agriculture Secretary to waive a local cash-match requirement of 25 percent. “Many areas across the country don’t have any reliable sources of matching funds, and rural counties may not have the tax base to create one,” said Russ Shay, director of policy for the Land Trust Alliance. “Allowing the Agriculture Secretary to waive the cash match requirement in special circumstances will provide the Secretary flexibility to target easements in important places where they are needed, but would not happen without the waiver,” he said. As passed by the House, the Farm Bill provides $881 million for the Energy Title over 10 years, benefitting small-sized and mid-sized farms and ranches, as well as rural small businesses. The top-funded program is REAP, the Rural Energy for America Program, which has provided grants and loan guarantees to farmers, ranchers, rural small businesses and rural electric co-ops for a broad range of more than 3,000 modern renewable energy and energy efficiency projects. The Farm Bill passed by the House provides $50 million annually in mandatory funding for the REAP program and allows for additional discretionary funding. On the other hand, all the state public interest research groups represented by U.S. PIRG urge Congress to reject the Farm Bill. “At a time of supposed fiscal caution, this bill would put taxpayers on the hook for another five years of billion-dollar handouts to huge, profitable agribusinesses. Even the most modest reforms to trim subsidies for the largest players were stripped out or watered down at the last second by the chairs of the House and Senate Agricultural Committees,” the nonprofit group said Wednesday. WASHINGTON, DC, January 31, 2014 (ENS) – Congressman Henry Waxman, a California Democrat who has played a leading role in the enactment of major health, consumer protection and environmental laws for the past 40 years, Thursday announced his decision not to seek reelection in November. “In 1974, I announced my first campaign for Congress. Today, I am announcing that I have run my last campaign. 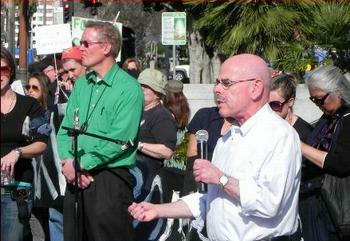 I will not seek reelection to the Congress and will leave after 40 years in office at the end of this year,” said Waxman. Announcing his retirement Waxman looked back over his long career at his accomplishments in the environmental field. “In recent years, I have been leading the fight in Congress for limits on the carbon pollution that is causing global climate change. In 2009, I joined with now Senator Ed Markey to pass the Waxman-Markey climate bill through the House,” he said. “Even if Congress won’t act on climate, President Obama can. The President has laid out a plan to reduce emissions by 17 percent by 2020, the goal we set in the House legislation. And he is working with other nations to set an ambitious target for post-2020 reductions. Whether Congress acts or not, the Clean Air Act gives President Obama and future Presidents ample authority to achieve these emission reductions,” Waxman said. WASHINGTON, DC, January 31, 2014 (ENS) – New Royal Dutch Shell CEO Ben van Beurden told investors Thursday that the company will not be drilling in Arctic waters off the north coast of Alaska in 2014. The company’s decision follows a January 22 ruling by the Ninth Circuit Court of Appeals that the U.S. Department of the Interior violated the law when it sold offshore oil and gas leases in the Chukchi Sea off the coast of Alaska. “The recent Ninth Circuit Court decision against the Department of the Interior raises substantial obstacles to Shell’s plans for drilling in offshore Alaska. As a result, Shell has decided to stop its exploration program for Alaska in 2014,” van Beurden said. The lawsuit was filed by a coalition of 14 Alaska Native and state and national conservation groups concerned about a drilling accident that would spill oil into the fragile Arctic environment and also worried about the effects of burning more oil and gas on the climate. The Center for Biological Diversity, one of the groups that won the appeal, was pleased with Shell’s announcement. The court ruling is the latest in a series of setbacks for the company stretching back to a difficult drilling attempt in 2012 that included the grounding of its Kulluk drillship, more than $1 million in pollution fines, and the failure of its oil spill containment dome during testing. WASHINGTON, DC, January 31, 2014 (ENS) – A Humane Society undercover investigation into a calf slaughter plant in New Jersey that found downed calves enduring mistreatment and others inhumanely slaughtered has led to a government-ordered suspension of operations at the facility. At the Catelli Bros. abbatoir in Shrewsbury, New Jersey Humane Society investigators found downed calves – those too injured, sick, or weak to rise to their feet – were shocked, kicked, lifted by their tails and ears, and dragged by chains,” said Humane Society of the United States President and CEO Wayne Pacelle. “Our documentation points to serious violations of the Humane Methods of Slaughter Act. The U.S. Department of Agriculture needs to strengthen regulations to specify that downed calves must be immediately euthanized rather than suffer abuses to force them to rise and walk to their slaughter. Pacelle said while suspending operations at Catelli Bros. is a step in the right direction stricter regulations are still needed. “The federal rule banning the slaughter of downed adult cattle contains a loophole that excludes downed calves. Workers may resort to cruel handling practices to encourage the young, vulnerable calves to their feet,” he said. In 2009, the Humane Society petitioned the USDA to close this loophole but the agency has not yet taken final action. WASHINGTON, DC, January 31, 2014 (ENS) – One of several wind turbine projects planned for the shores of Lake Erie, in one of the greatest bird migration corridors in the Western Hemisphere, has been halted following submission of a letter of intent to sue from American Bird Conservancy and Black Swamp Bird Observatory. The two groups threatened to sue on the grounds that the environmental review process was unlawfully circumvented and that the development is taking place in violation of the Endangered Species Act, the Migratory Bird Treaty Act, the Bald and Golden Eagle Protection Act, and the National Environmental Policy Act. The wind farm is proposed for the Camp Perry Air National Guard Station west of Port Clinton, Ohio. This location is in the “red zone” of ABC’s Wind Development Bird Risk Map, indicating an extreme risk to birds. The red area that crosses Lake Erie is a high-density migration corridor. The letter of intent to sue the Ohio National Guard, along with an ongoing petition campaign that has acquired over 5,000 signatures, charged that efforts in connection with the wind project at Camp Perry violate the Endangered Species Act and other federal conservation and environmental laws. The decision to halt the project was announced in a letter from Air National Guard Headquarters to the public interest law firm Meyer Glitzenstein & Crystal of Washington, DC, which represents the two bird advocacy groups. Said Dr. Michael Hutchins, national coordinator of ABC’s Bird Smart Wind Energy Campaign, “The victory sends a strong message to other wind energy developers in this ecologically sensitive region that conservationists will be closely watching their actions. The two bird groups say the placement of the project at the Camp Perry facility, and those proposed for surrounding areas, present an extremely high risk to migrating songbirds, especially the federally endangered Kirtland’s Warbler. This imperiled species was nearly extinct less than 40 years ago and, while rebounding due to costly and intensive management efforts, still numbers only in the low thousands. Other birds at risk include other migrating songbirds, raptors, bald eagles, endangered piping plovers, and waterfowl. Local residents worry that such wind farms may discourage birding tourism that now injects $37 million into the local economy every spring.